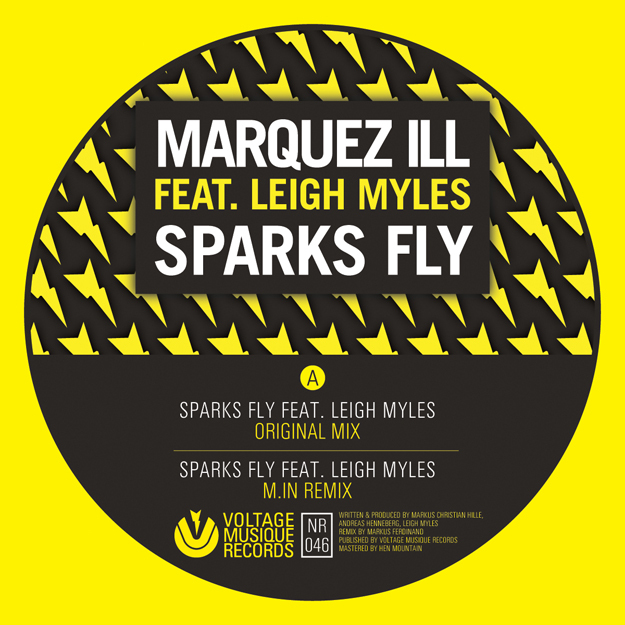 A kicking dancefloor anthem with sultry vocals lamenting of forbidden love… with „Sparks Fly“ Marquez Ill and Leigh Myles have once more created a fusion of punchy rhythms and sassy vocals. A love-song??? Maybe, but in the darkest, twisted most danceable sense. The M.in remix strips the track back to basics, focussing on a sparser more percussive sound. Sid LeRock throws his passion into the track with a remix that makes a feature of Leigh’s vocals, adding slick effects and textures over an infectious rhythmical backdrop. Finally, „Sparks Fly“ gets an original electro makeover by Christian Gleinser. Soaring synths and a punchy electro beat give it a timeless, sleazy dimension.